Irwin Speed Hammer pointed chisels are for use with SDS Max machines. Suitable for a wide range of applications: breaking through, breaking up concrete, light demolition work and chasing of channels for pipes and electrical conduit. 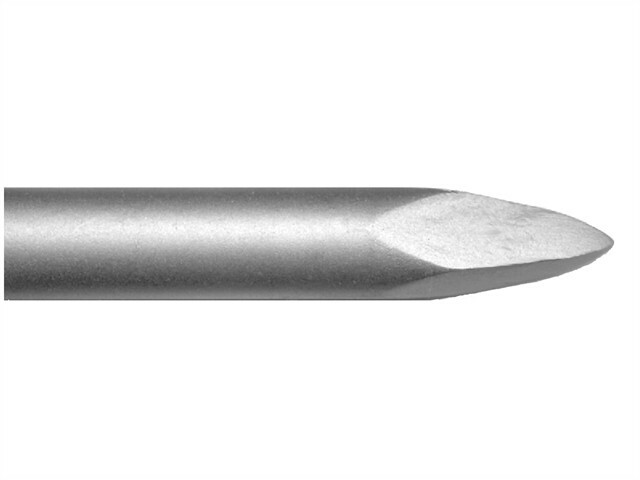 Suitable for use on concrete and masonry and are supplied in a grey sandblasted professional finish.